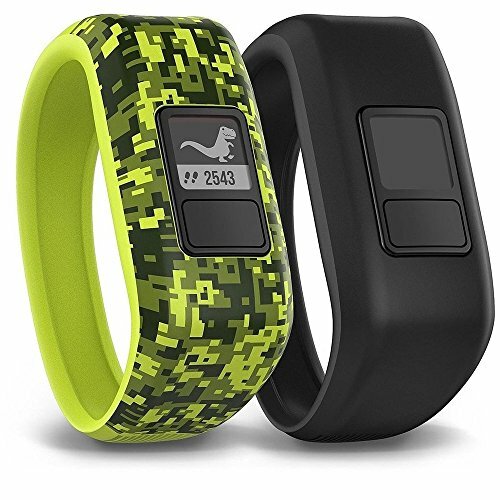 Meet the activity tracker just for kids: vvofit jr. Its swim-friendly, durable and features kid-approved designs. It's also got a 1+ year battery life and a free parent-controlled mobile app. The app motivates your pint-sized powerhouses to stay on the move with rewards and a mobile adventure trail to unlock.Meanwhile, parents can monitor steps and sleep and get a summary of their kids 60-minute daily activity goal. The app also gives parents the ability to manage and assign chores and give rewards to positively enforce good behavior. Its all easily controlled from mom and dads compatible Apple or Android mobile devices.